Providing EXCELLENCE in healthcare and well-being for KIDS. 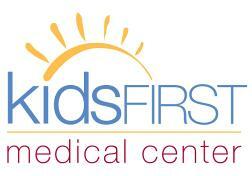 kidsFIRST Medical Center is dedicated exclusively to the comprehensive care of children from birth to age 18. 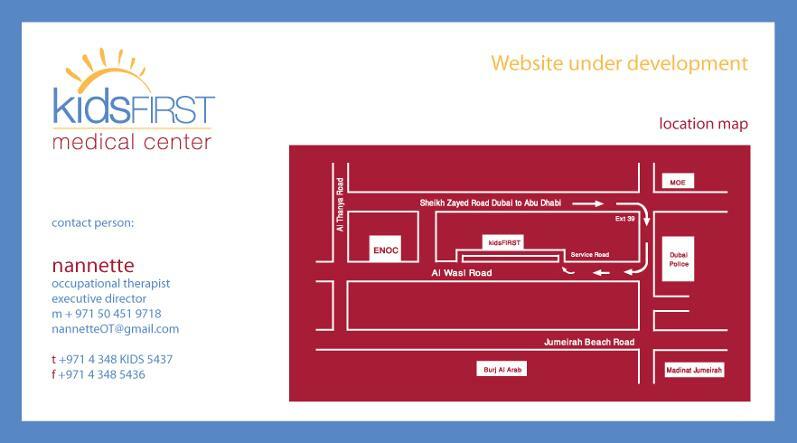 We are the only facility in the UAE that provides patient care ranging from well child check-ups, immunizations and sick visits to specialized assessment and treatment in areas such as learning difficulties, behaviour issues, psychology, physical therapy, occupational therapy, and speech-language therapy. We are a complete parent resource center offering educational consultants to help you find the right school and The Parenting PLACE@kidsFIRST provides parenting solutions with Triple P Seminars and Training. Our team of specialists is dedicated to providing answers for parents and help for kids.